Long file paths are reduced to one fast hyperlink with click.to. Don’t believe it? You can’t really call it running: Click.to is the shortcut so you don’t even have to run the race, you’re already at the finish. File path not found, click.to already has it open! 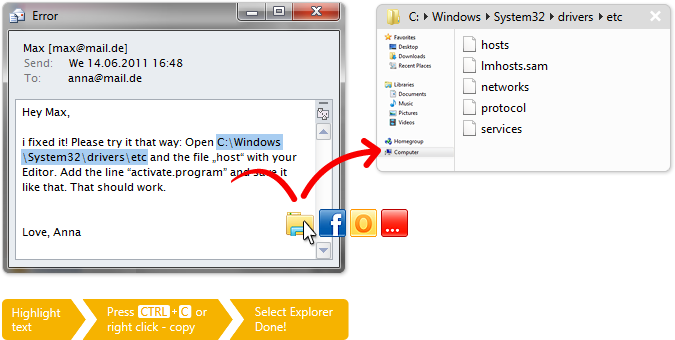 Simply highlight the path in a text (e. g. from an online tutorial), Ctrl+C or right click -> copy and then open the file path directly with click.to Explorer.